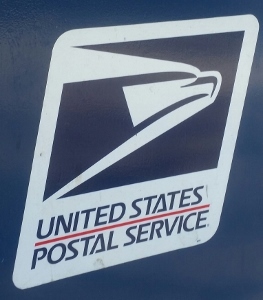 Our clients, ages 25 and 26, were employees of a Fortune 500 commercial mail carrier that shipped not only letters, but packages of all sizes. The facility was very close to LAX. One client worked in administration and the other worked as a mail sorter, handling envelopes. As our second client described, it was quite easy after a while working in the warehouse to immediately recognize when an envelope contained cash, a gift card or a money order. All the mail handlers developed this sense after a while. When an envelope looked like it held cash, the envelope often did not reach its intended destination. Instead, it found its way into a mail handler’s pockets.One day, our two clients, boyfriend and girlfriend, were on the lunch break, heading eastbound on Century Boulevard when they noticed the flashing lights of a police car in their rearview mirror. Our clients pulled over obediently and the officer explained that he had pulled them over for unlawfully tinted windows, a violation of Vehicle Code § 26708(a)(1), a common pretext our office sees when an officer is really looking for something more serious like drugs. In this case, the officer did not find drugs, but he found about fifty envelopes with addressees that were not either of our clients. The envelopes were in the center console, on the floor boards, jammed into the door pockets. Everywhere. Some were opened; some were not. In our client’s wallet were three Starbucks gift cards that officers later were able to trace or connect to the opened mail, as well as over $200 in large bills. In our other client’s purse, the officer found blank money orders, more gift cards and about $300 in large denomination bills. The officer immediately arrested both of our clients and notified their employer. The employer immediately fired both clients. About This Summary Briefly: Our two clients, who worked at a private mail delivery company, were found with dozens of letters in their car that were not addressed to them and appeared to be taken from their work, as well as several gift cards and hundreds in cash. Cases both resolved with diversion and no convictions. No other changes needed. The clients then came to Greg Hill & Associates, worried about ever getting a job again. Neither had a prior conviction. Greg listened to the clients first explain what had happened and then described a plan to try to push the case into diversion. Greg cautioned the clients that with theft within the employment context, it is often tough to negotiate diversion because the case is more serious, as the clients enjoyed a position of trust and they apparently abused this in their thefts. Greg had each client first enroll in and complete an online shoplifting program through Tom Wilson Counseling services. The clients then gave Greg each of their completion certificates. Each also gave Greg their resumes and awards they had received over time, even from high school. Greg then went to the arraignment in the Airport Courthouse and looked over the complaint and the police report. Luckily, there was no video from a security camera of our clients. The complaint alleged each client had violated Penal Code §§ 484(a) (“Petty Theft”) and 496(a) (“Receiving Stolen Property”). Greg first had the clients review the police report thoroughly and they discussed it with Greg. At the second appearance, Greg showed the handling Los Angeles City Attorney the clients’ completion certificates from the shoplifting prevention course and discussed the errors within the police report. He also presented her with a mitigation packet for each, showing each client’s otherwise good character. Greg then proposed to resolve the case whereby the clients would plead to a violation of Penal Code § 602(k), trespassing, but be permitted to withdraw their plea and have the case dismissed in 12 month if they performed 30 hours of community service. The handling city attorney countered that our clients could do so, but they each would have to also plead to a violation of Penal Code § 484(a), which would be withdrawn after 18 months, but the conviction for 602(k) would remain. In addition, the clients would each have to do 10 days (80 hours) of community service. The clients would also have to stay out of all trouble – no new cases. Greg presented the offer to the clients, who agreed in principle, but Greg then negotiated down the 80 hours to 40 hours. The clients then accepted the offer and entered their pleas. Eighteen months later, Greg reported back to the Airport Courthouse and had the pleas for each client withdrawn for the petty theft charge. This was a somewhat nerve-wracking appearance, as one of our clients had picked up an open container charge just two weeks earlier, but the Los Angeles City Attorney did not show this in her records.